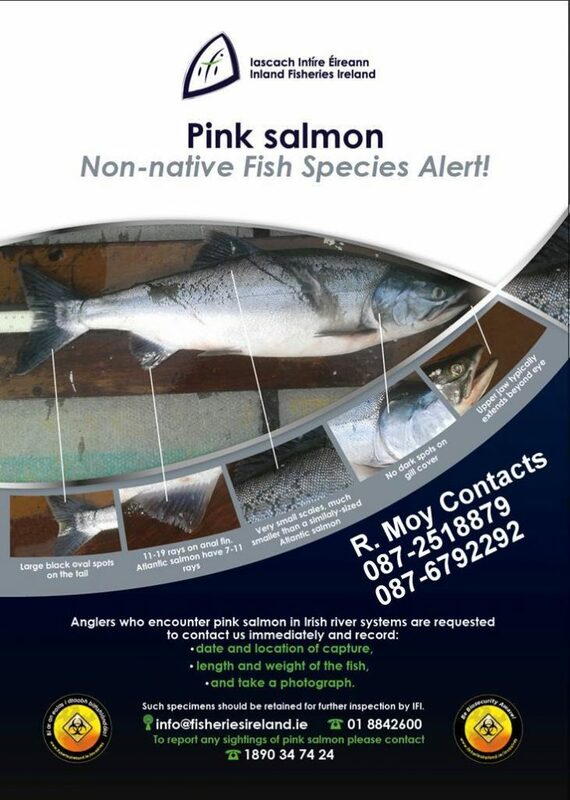 Foxford Salmon Anglers – Salmon fishing around Foxford! The Foxford Salmon Anglers AGM was held last night. The committee was returned as was. We will make a start on Saturday 24th MARCH….. Meeting at the Clock in the town Square at 12 noon. We hope to form a working group to oversee and carry out this essential work. We have a small group of interested people, even a tree surgeon who will assist us in 2018 to carry out this essential work. Stiles, bridges, walkways, cut trees, bushes, shrubs…. We will put in place some shelters for Tea, Coffee & Pack Lunches and for your comfort during inclement weather in Rinnaney & Bakers.